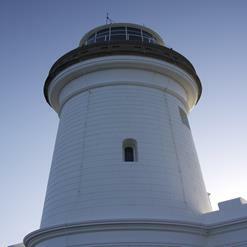 This is an extension of Cape Byron separated by water and forms a most unique marine reserve, the Julian Rocks which now provides shelter for more than 500 tropical and temperate fish species alone. It is regarded as the best scuba diving site in New South Wales, and one of the best dive sites in Australia. The Rock is also home to some rare species such as the leaf scorpion fish, the blue devil fish, the pineapple fish and the white banded anemone fish.